Chevrolet announced on Thursday that select 2016 models will come equipped with an air conditioner for your smartphone. The feature may seem trivial but according to the automaker, it’s no marketing gimmick. During testing, Chevy subjects its vehicles to some pretty extreme climates to ensure various subsystems hold up under stress. 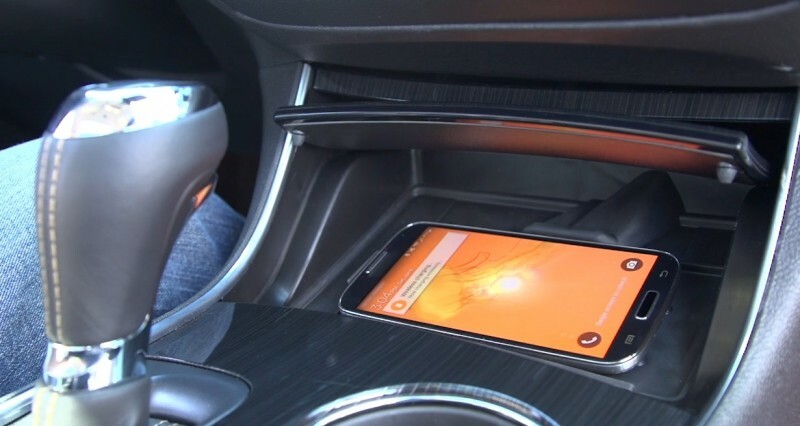 While testing a wireless charging system for smartphones, the automaker noticed that some smartphones would stop charging or shut off completely after just a few minutes inside a hot car. Having your smartphone shut off mid-drive is pretty inconvenient, especially for those that like to stream music or use their device as a GPS. A phone that is providing directions while simultaneously recharging via wireless charger, for example, can generate a good amount of heat. As we all know, heat is the natural enemy of electronics. To address the issue, the world’s largest car brand is installing a system it calls Active Phone Cooling in select models. The solution simply pipes cool air from the vehicle’s air conditioning system and blows it into the wireless charging bay. Because it relies on the car’s AC system, you’ll of course need to be running the AC for it to work. Chevy engineer Dan Lascu said innovation doesn’t mean reinventing the wheel, adding that sometimes, simplicity offers the most elegant solution to a problem. 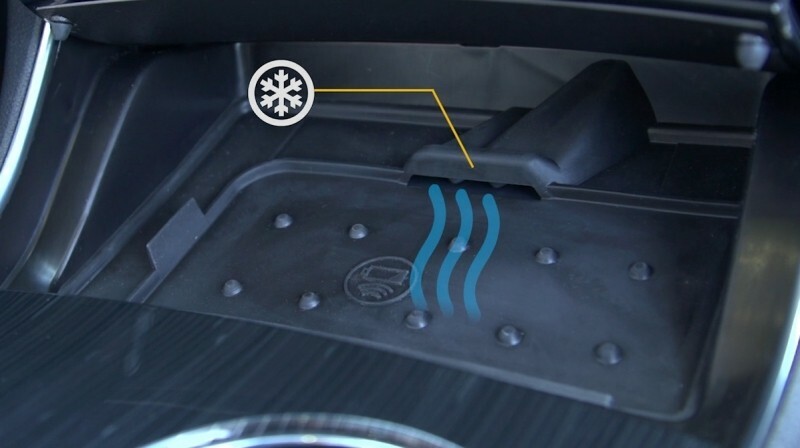 Active Phone Cooling will come equipped on 2016 Impala and Malibu vehicles with the wireless charging option. Will Apple smartphones require a special adapter/air quality??? These are important details. Yes, you would need special air tanks and cabin filters supplied by Apple. Or you could use the Apple fishing dip net, drop the phone in it and just hold the blasted thing outside the car window for a few minutes .... even better in a nice rain storm! First Apple needs their marketing team to come up with a new way to claim they came up with wireless charging. I think this is a really stupid idea, what nutjob at GM actually thought this was innovative or required? Since when did smartphones run so hot or generate THAT much heat? Wireless charging is a great idea, phone cooling is asinine. "While testing a wireless charging system for smartphones, the automaker noticed that some smartphones would stop charging or shut off completely after just a few minutes inside a hot car." I find that VERY hard to believe, but what do I know. I bought a gadget recently for a few euro that allows me to mount a smartphone to the fins on the car air vent. Very handy for satnav and has the extra benefit of cooling the phone. I live in a tropical climate country and once I had my phone in a place of the car that got direct sunlight for a while. When I picked it up, there was a sad face in the screen with a message warning about the excessive heat. Sure is not an everyday occurrence, but I believe the results. Your bailout dollars at work. What will be your favourite feature in upcoming iPhone?